Sundance ’18: Location, location, location! From the urban lights of Salt Lake to the otherworldly arches of Moab, Utah offers an abundance of unique locations for film. City environments pose their share of challenges to a working crew, but toss in the unpredictable elements of nature, and a poorly scouted location can derail a production for days. 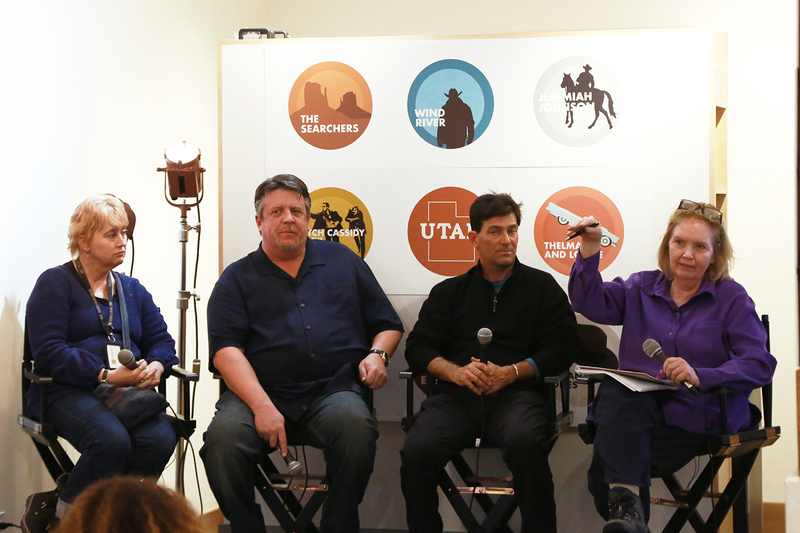 Location managers Scott Chester, Andrew Hodge, Stevie Nelson, and moderator Nancy Haecker joined the LMGI (Locations Managers Guild International) panel at the Utah Film Commission on Main, to talk about two of this year’s four films shot in Utah, Damsel and Hereditary, and to delight the audience with the comedies and tragedies of finding and filming locations in the wild. A locations scout worth her salt know the potential pitfalls of a seemingly ideal location – and potential pitfalls abound! A forest could be a director’s dream until an infestation of flies swarms his actors in rehearsal; “relocating” bees, wasps and snakes is par for the course for a locations manager. A glorious field of grass may look like exactly what the script demands, but if the production films for six months, the grass could be an entirely different color by the end of the shoot. Rivers can rise, fall, and dry out over the course of a several month shoot, leaving a romantic riverboat scene without the river. A small rural town may be a fitting spot for a period piece, but there are significant costs to removing a telephone pole from a shot with CGI if it wasn’t noticed on set. Many in the audience were location scouts or locations managers, there to pick up tricks of the trade, but a few of us in the audience had never stopped to consider the challenges they face, and the disasters they preempt. It is an expertise that clearly comes from experience and stories shared.